I cannot believe it has been a year since Darcy and I moved into our home, time really does fly. Today I thought I would I share with you some tricks and tips that helped our move be as stress free as possible. 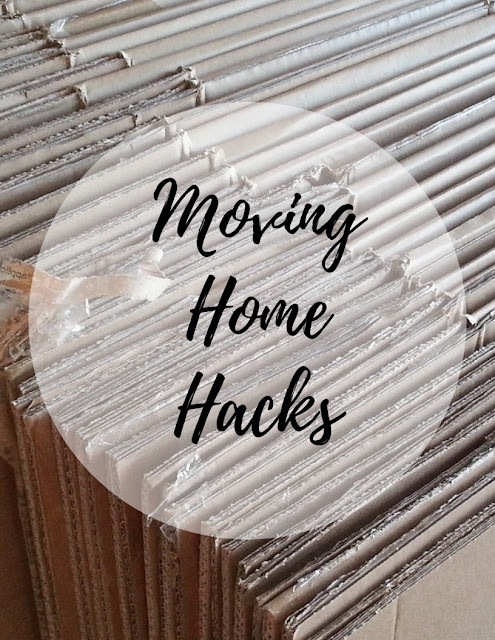 Cut handles into boxes Get a knife or a pair of scissors and carefully cut slits into the sides of the box, fold the cardboard up inside and do the same on the other side. The handles will help make lifting the boxes so much easier. Hire a Removal Company, do you really want to be carrying boxes all day long? As frugal as I am, I knew hiring a removal company would be the best option for me. Thankfully there are companies out there like getamover, where you can get lots of moving quotes, then pick the company which suits all your needs. Keep your clothes together bunch your clothes together into a bin liner, pull the liner over the clothes and tie up. This will keep your clothes and hangers organised and easy to pack away in your new home. Don't get locked out of your home Twist an elastic band over a lock, this will prevent you from getting locked out.